Small group experience; Max 13, avg 9. 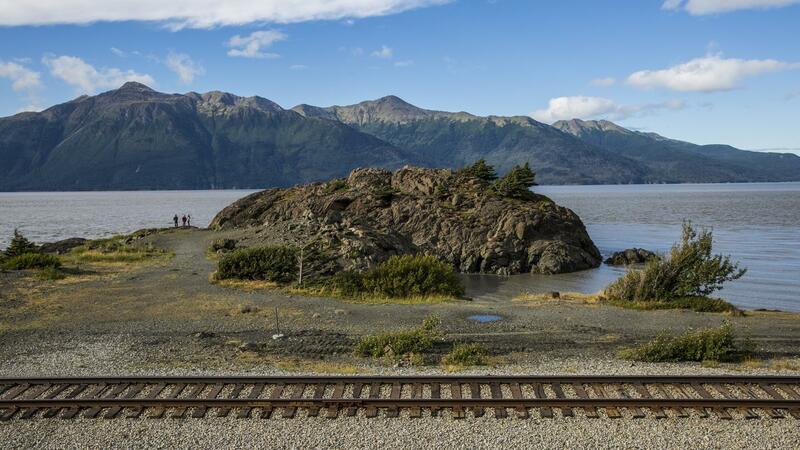 Drive south through the Kenai Peninsula along one of US's most scenic highways, the Seward Highway. Pass between cliffs and ocean and through the Chugach National Forest surrounded by mountains. 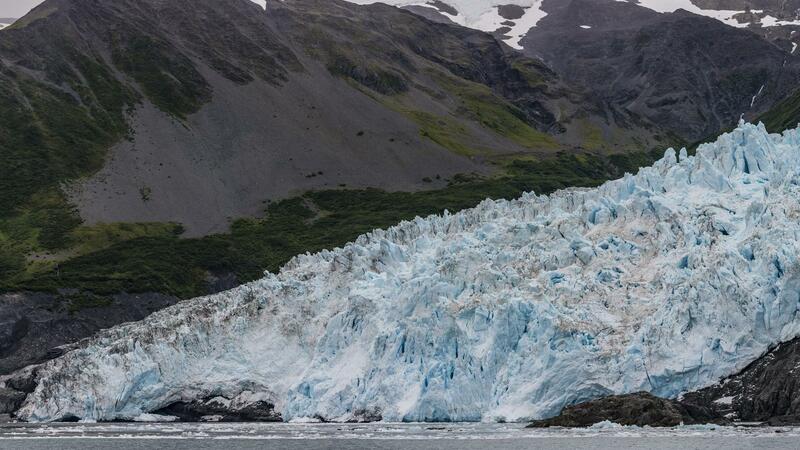 Hike one of the trails of Kenai Fjords National Park to the Exit Glacier and Harding Icefield in the afternoon, seeing the size of this natural phenomenon in person. Head out on an amazing hike to the Exit Glacier and Harding Icefield. The 11.9km (7.4 mi) round trip of the Harding Icefield Trail is a spectacular day hike that utilizes back-country and on-trail trekking. Starting on the valley floor, the trail winds through cottonwood and alder forests, passes though heather-filled meadows and ultimately climbs well above tree line to a breathtaking view of the icefield. The top of the trail is a window to past ice ages – a horizon of ice and snow that stretches as far as the eye can see, broken only by an occasional nunatak or lonely peak. There are various lookout points along the trail that serve as good turnaround points. Portions of the upper trail are covered by ice and snow part of the year. Easier, shorter hikes to the base of the glacier are also options that also afford beautiful views for those not looking for a strenuous hike. Black bears are spotted frequently from the Harding Icefield Trail. 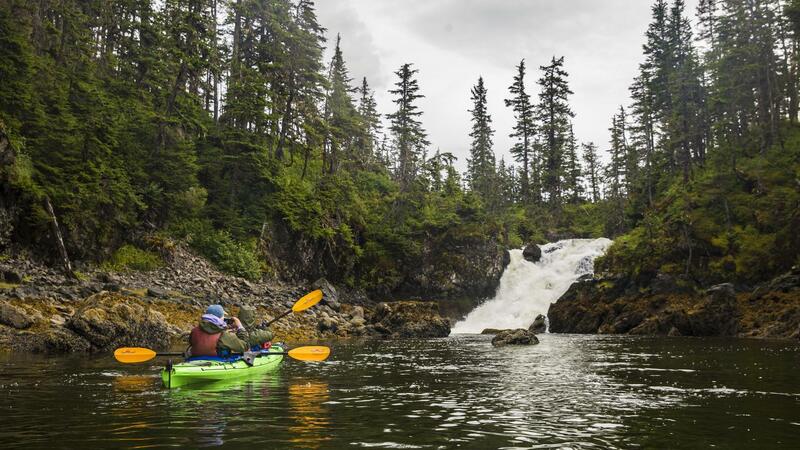 Get out and explore this natural paradise! The Alaska SeaLife Center is the only public aquarium in the state and also functions as an ocean wildlife rescue center. The facility focuses on research, rehabilitation, education, and exhibits. 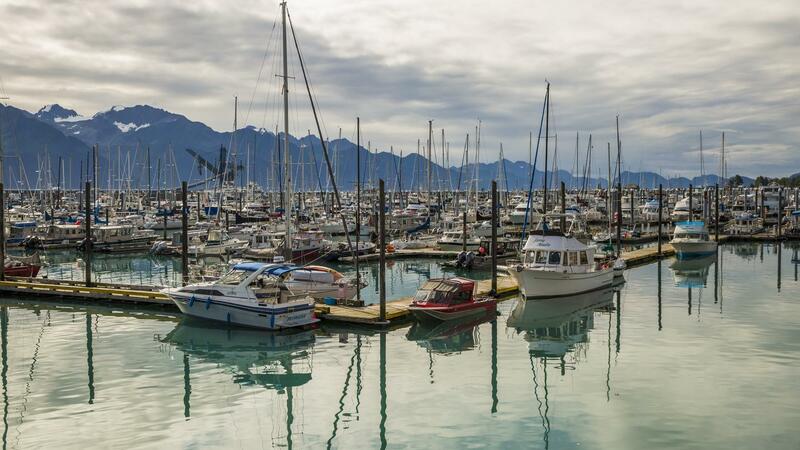 Explore the stunning surroundings of Resurrection Bay from the water. Follow a naturalist guide along the scenic western shoreline of the bay and marvel at the snow-covered mountains and hanging glaciers. Learn about the bay’s history, highlights, and wildlife along the way. Sea otters, sea lions, harbor seals, bald eagles, seabirds, and jumping salmon are often seen. Occasionally, whales are also spotted. Continue along the Caines Head State Recreation Area and, depending on group speed, all the way to Tonsina Creek. During spawning season, if the tide is high it may be possible to paddle up the creek to see spawning salmon. About halfway into the trip, make a shoreline stop to enjoy hot drinks and lunch with time to stretch your legs and explore. Spend time exploring quirky Talkeetna. Travel by river jetboat 20 miles (32km) along the river system, learning about the local ecosystem from a naturalist guide. 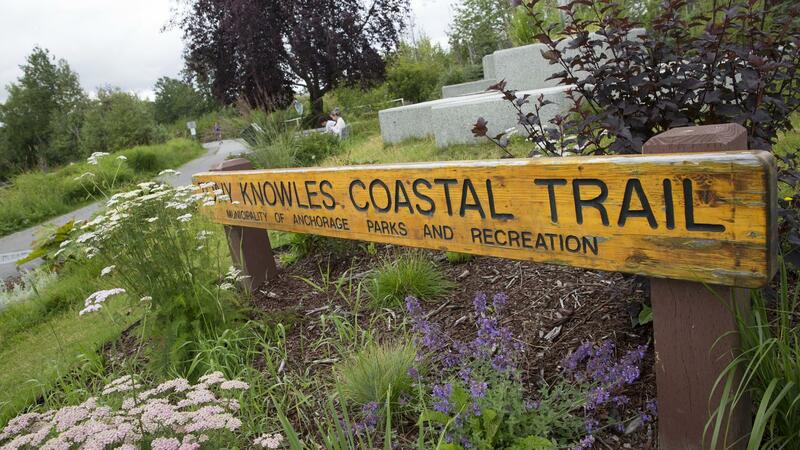 Stop off and go for a short nature walk to the Dena'ina Indian Encampment, home to the earliest native settlers in the area, then visit an old trapper's cabin to learn about the trapper's way of life. 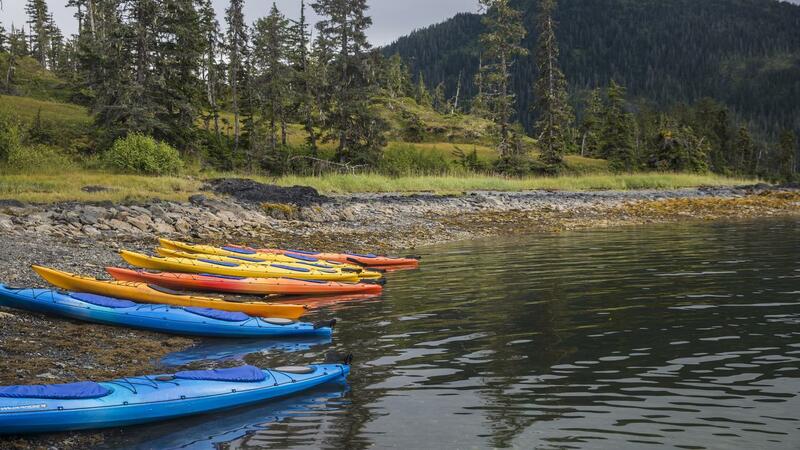 Board a raft and float down the Talkeetna River on the lookout for bears, eagles, moose, beavers, foxes and native birds while learning about the local environment of the river and its banks. Loop onto to the Susitna River for the return journey, and if you're lucky enough for it to be clear, you'll see stunning Denali (formerly Mt McKinley) over the trees. This is a relaxing and educational float that gets you out in nature. If weather conditions aren't great for flightseeing on Day 4, there is a possibility to try again this day before driving north to Denali. 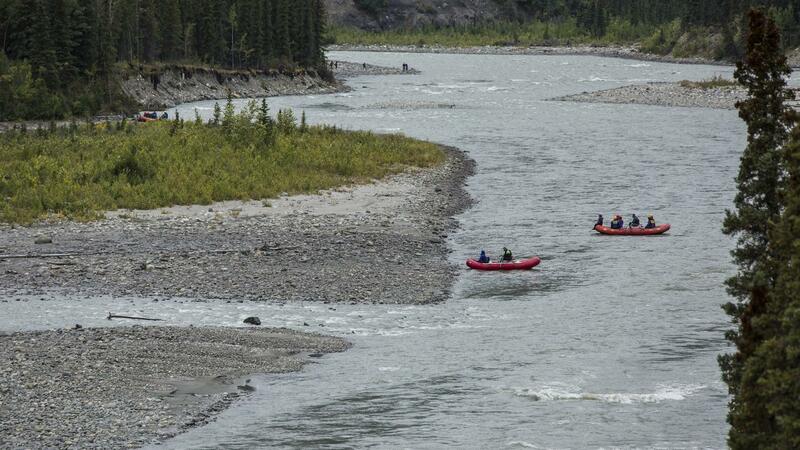 Hit the rapids on the Nenana River. Soak in the gorgeous scenery and get a rush of adrenaline in Denali National Park. 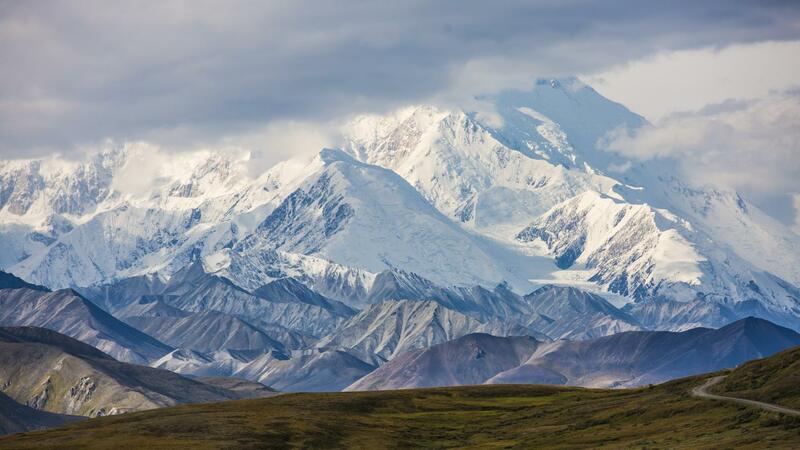 Depart early to explore Denali National Park. Take the shuttle bus to the Eielson Visitor Center and back, getting deep into the heart of the park. 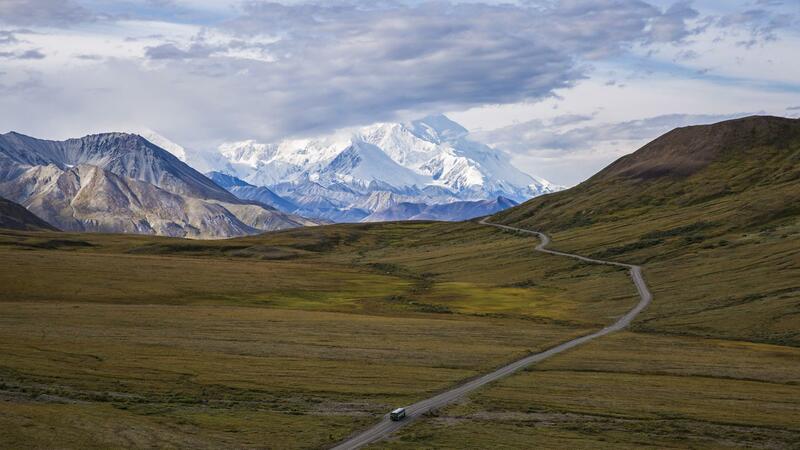 The journey takes approximately 8 hours and shows off the stunning wilderness of Denali. Use any of the hiking trails around the park to enjoy the rugged beauty of Denali National Park. If the weather is clear, look up to see Denali (formerly named Mt McKinley) towering overhead. Go rafting or hiking on the last morning in Denali NP. Enjoy a meal with your new found friends and reminisce about the fantastic adventure you've all had. Please note that the legal drinking age in the United States is 21. Many bars and clubs will ask for ID at the door, therefore listening to live music in certain bars or spending a night out is not possible when you are under the legal age, even if you don't plan on consuming alcohol. Drinking laws are strictly enforced and our CEOs are unable to help those under age obtain alcohol of any kind. In Alaska, ID is often checked, even for the elderly, and in many places every single customer making an alcohol purchase must show identification (either US government-issued ID or passport if not from the States). For days in the outdoors, we recommend the use of lightweight, breathable, moisture-wicking fabrics made of wool or synthetic fibers. Cotton is not recommended for days to spend hiking as it does not allow for heat or moisture to enter or escape, and it will not dry once wet. We recommend the use of a well-labeled duffel bag, soft bag or backpack (whichever you find easiest to carry). Suitcases or heavy luggage are not recommended for the health of the CEO! A good size day-pack (20-35L) is also essential as you will have the chance to walk and hike in different national parks during these trips This daypack will be used to carry your personal gear for the day, lunch and water bottle.